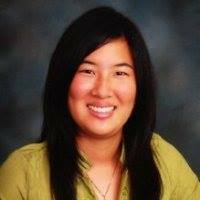 Home/Brave People, Stigma Fighters/Stigma Fighters: Alisa T.
Do you remember that kid who was always last to be picked for any sports team? The one who was always tagged “it” because he/she was easy to catch? I was that kid. I grew up as the only black head in a sea of blondes. Growing up in a bilingual household with a mother from Tokyo, I was automatically singled out as the exotic one, the native informant. My black hair earned me nothing but bullying and snide comparisons to Pocahontas and Mulan. Every Christmas, I would secretly ask Santa for blonde hair and blue eyes and wake up crushed on the inside when he didn’t follow through. Being the only Asian child at an all-white private middle school only worsened my depression. I was taunted, teased, and tripped. My so-called “friends” prank-called my house so consistently that I became afraid of the phone. Overwhelmed by my depression, pressure, and test anxiety (which eventually became full-blown anxiety), I became suicidal. Based on what little I knew (some of which came from Japanese culture which says that freely displayed emotion is to be avoided at all costs), I picked up what some would consider the worst defense mechanism in self-help history: don’t express your emotions. I lied and told people that I was okay when I really wasn’t. I smiled when I wanted to scream. I cried behind closed doors. The only time I felt safe was when I was on my therapist’s couch. At eleven, I had no idea that a therapist is bound by law to tell a patient’s physician if they think their patients were in danger of hurting themselves. The only thing that registered for me was: She getsme. I came home one day to a message from my therapist on the answering machine that was clearly not meant for me. As I listened to it, I realized that a) she had broken her confidentiality agreement with me and b) she had been lying to me. Bye-bye safety net, hello big scary world. My therapist, doctor and parents put me on anti-depressants, promising me that they would only keep me on a month, that I was free to get off the pills if I felt worse. My suicidal symptoms were immediately exacerbated and I started suffering from migraines. 1 month became 2 months. 1 medication turned into 3. My parents did not listen to my requests to stop the medication. It wasn’t until I started trying to follow through with my suicide threats that my parents realized how wrong they were: the anti-depressants weren’t saving my life. They were killing me. I felt like a failure. I went into practically every alternative therapy on the planet saying I didn’t expect a magic pill, but the reality is that I hoping for one. In retrospect, it’s ironic that I was looking for a magic pill when having a physical pill just screwed my entire physical being up. I am now 24. I’ve been battling depression and anxiety for more than half my life. I’d be lying if I told you that my depression has been kicked to the curb. The monsters are still there; they still raise their ugly heads, although I (thankfully) no longer try to kill myself. But just because I don’t want to kill myself doesn’t mean my demons aren’t there anymore. I’m still experimenting, trying to find things that work for me. Sometimes I go back to that dark place and it takes a while for me to get out. Being the sensitive person that I am, the littlest things can trigger my depression. I get anxious over things that most people my age would breeze through. Those little things often take me on roller coaster rides. Yes, those emotional roller coaster rides aren’t fun, but they’re a hell of a lot easier than shoving my emotions down and pretending they don’t exist. If I discredit my own emotions, I can’t live an authentic life. I’ve taken the long way toward recovery because I know that medications wreak havoc on my body. I am not in therapy for either of my conditions because of a host of other issues that the trauma my initial experience brought on. Am I purposely making myself suffer? Those in the know might say yes. Those who don’t know wonder why I’m not available for certain blocks of time. Some of those same people don’t believe that I have any reason to be treated for any sort of condition. When I ask them what makes them believe that, they say, “Well…because you’re you.” Great. Yeah, I’m me. And I’m human. Just like you. I may not take medication. I may not go to cognitive behavior therapy. I do things differently. I get confused and frustrated by my half-Asian heritage where mental illness is an even bigger stigma; Japanese and American values clash. I try to move forward, put this in the past, but every day is an uphill battle. We can’t get rid of these conditions, as much as we would like to. Treatment can help us manage, but what works for one person doesn’t mean it will work for another. You find ways to work around the conditions; but it’s that creativity, that strength that you show that is one of your biggest assets. I’ve been slowly learning to accept these conditions as part of who I am; I’ve been struggling to accept that these conditions have made me better. My journey won’t reach a certain point and stop once I accept myself. The same goes for my journey with these conditions. I know that sharing my story, giving a voice to those who feel like they’re alone helps me feel more liberated. But I also know that it helps people on the other side of the screen feel like they’re not alone in the world. By being ourselves, sharing our stories, we give others permission to do the same. That’s how we erase the stigma. Alisa is a bilingual aspiring content creator and blogger. She hopes to be able to use her Communications degree from Lewis and Clark College to work abroad inspiring kids through writing and other forms of media. You can follow her personal journey through her blog, www.alisayui.wordpress.com, or follow her on Twitter @AliTanaka1.